This post is part of Jo-Ann Fabric and Craft’s Celebrate the Season series. I was compensated with supplies and a gift card for any additional supplies necessary. All content contained in this post is 100% original, my honest opinion and my own project. 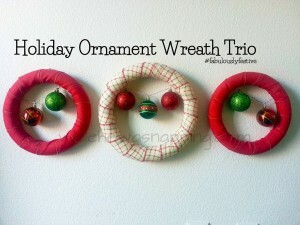 I have been very intrigued by wreaths this Christmas season. The variety available is amazing. 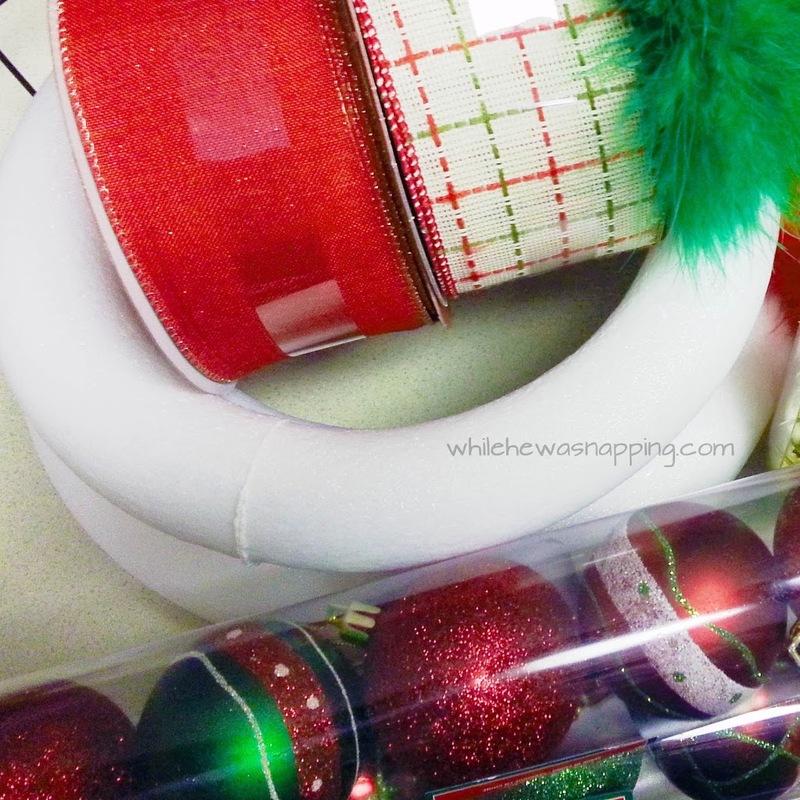 Evergreen, ribbon, garland wrapped, real versus faux… and the color schemes are endless! If you’ve been around here for very long, you know I love a personalized project. 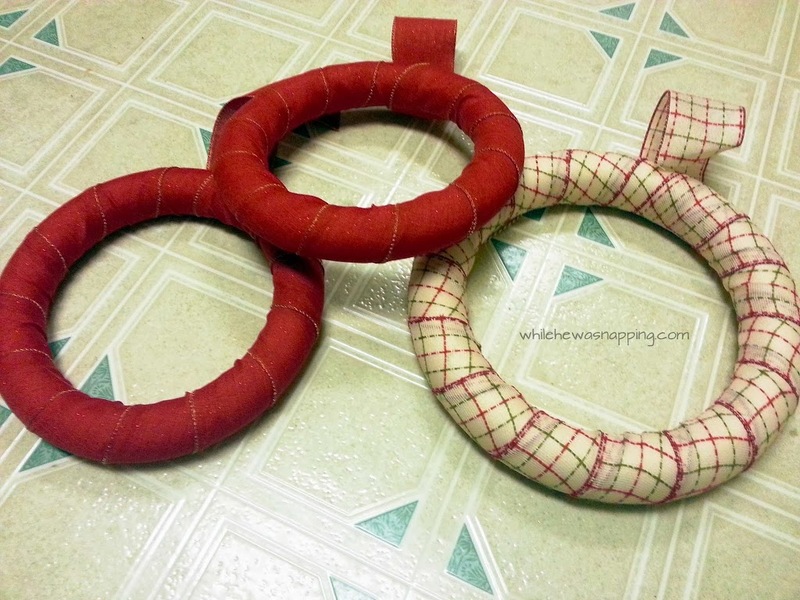 Something you can take and make your own is absolutely right up my alley. But I went a step further than just a wreath. I went for three wreaths. A fun trio. Like The Three Musketeers, The Three Stooges, The Three Little Pigs, a delicious BLT trio, or me, myself and I (my favorite trio! )… you get the idea. It’s more fun with three, right?! There’s always someone there to back you up, except with the me, myself and I thing… Anyway, this project is three times the fun and makes quite a statement with it’s awesome trio. – Tie the ornaments to the twine with a single knot. Leave the ends long enough to attach to the wreath form. You can see the knots up close in the second photo. 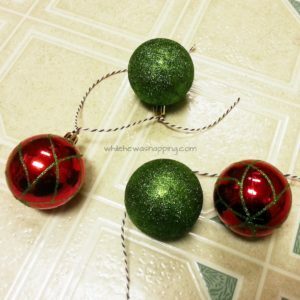 Just something that will hold the ornaments in place. 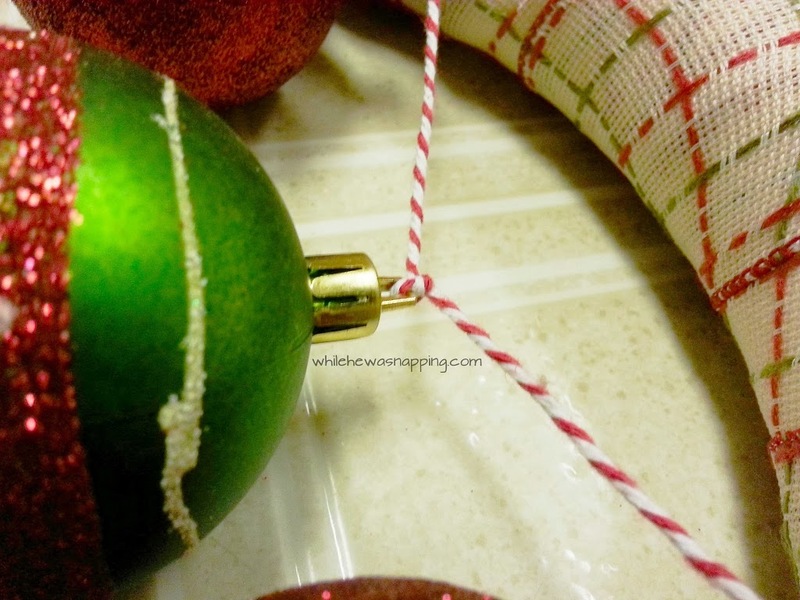 – Using the glue gun, attach the ends of the twine to the wreath. 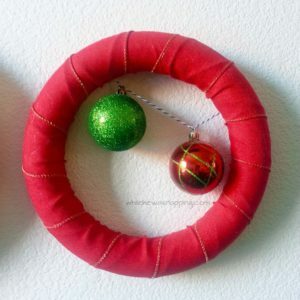 Hold the wreath up as if it’s hanging to get an idea of where to attach the strings. 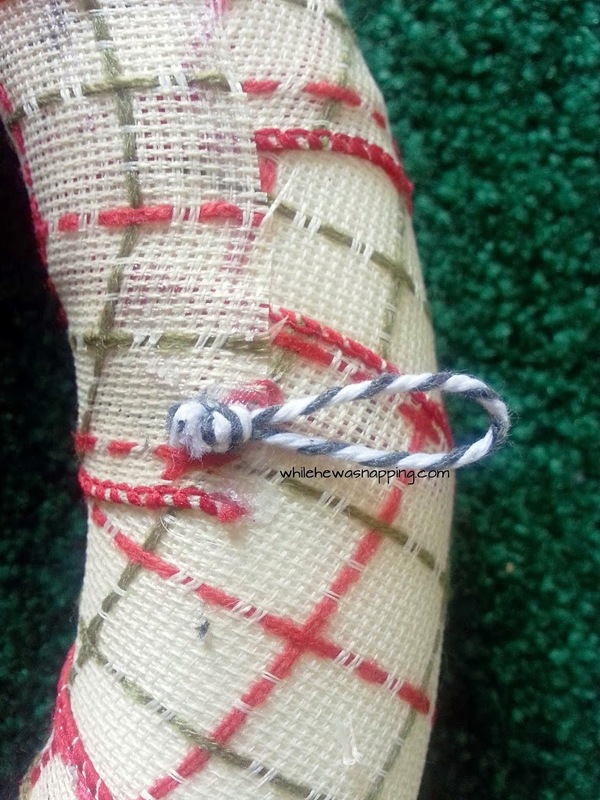 You can see where I had to cut the twine off and re-attach it because I didn’t test it before gluing down the ends. – If you left extra ribbon at the top of the wreath, trim it off and secure the end with hot glue. 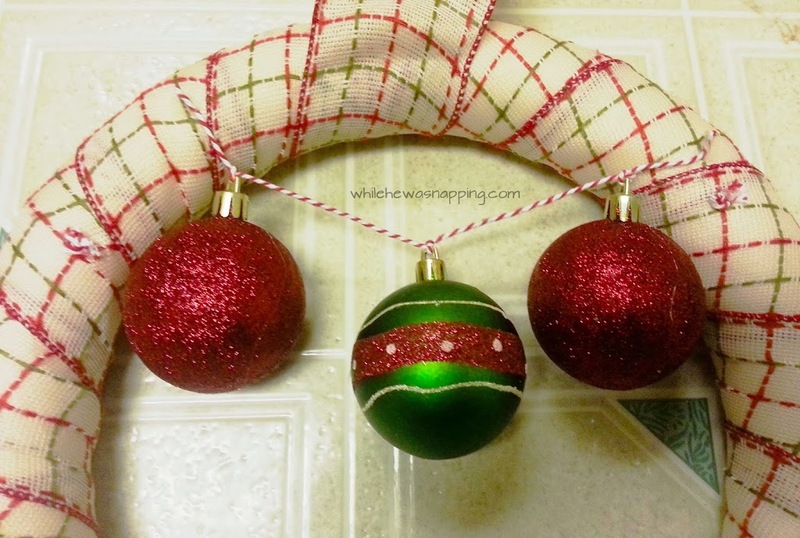 Tie a small loop and center it at the top of the wreath to create the hanger. Glue it down with a small dot of glue. I made my loop small enough that the wreath form mostly covers it, unless you’re looking down on the wreaths. 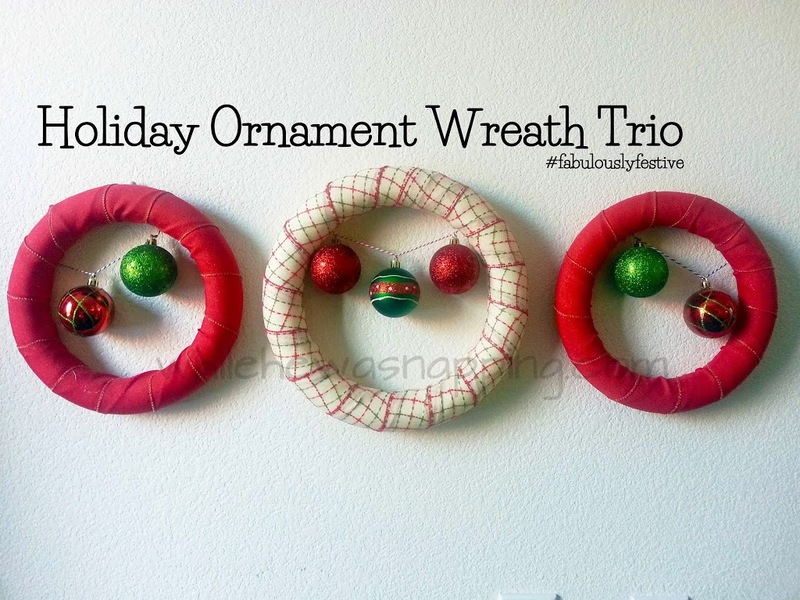 – Repeat with the other two wreath forms. 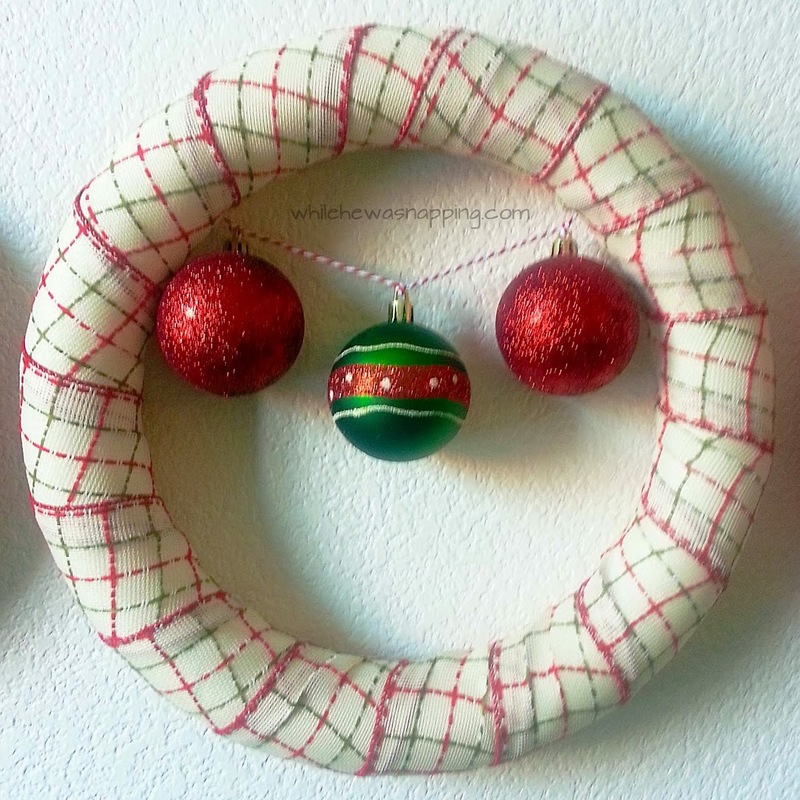 I started with my large wreath and hung the ornaments in a simple swoop. 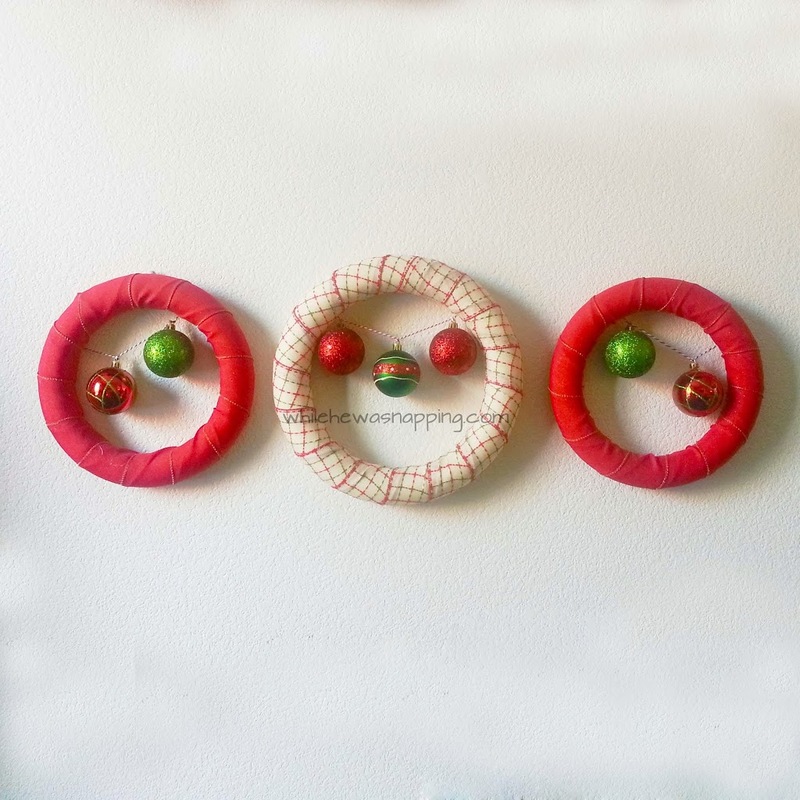 With the small wreaths, I opted for unevenly hung ornaments. This makes a larger swoopy visual through out the entire trio, adding continuity to the whole set of wreaths. Sorry the first photo is a little blurry… I had a “helper” on my back and didn’t realize it was that bad. You can check out more great ideas in the Craft Catalog. 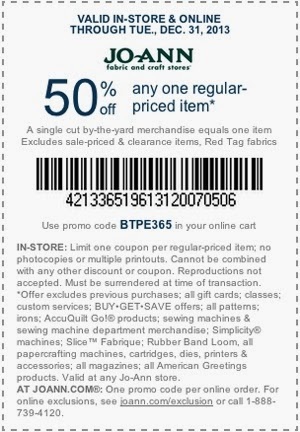 And use the coupon below to save yourself some money when you shop at Jo-Ann this month! Who isn’t looking for a deal right now?